Yes I know, it’s only November 15 but we couldn’t resist getting a Christmas tree this weekend. To be honest we tried to get one last weekend but they weren’t out yet. Our reasoning for getting a tree so early is the fact that we will be gone for 3 weeks between Christmas and New Years so we wanted to enjoy the tree for at least 4 weeks! 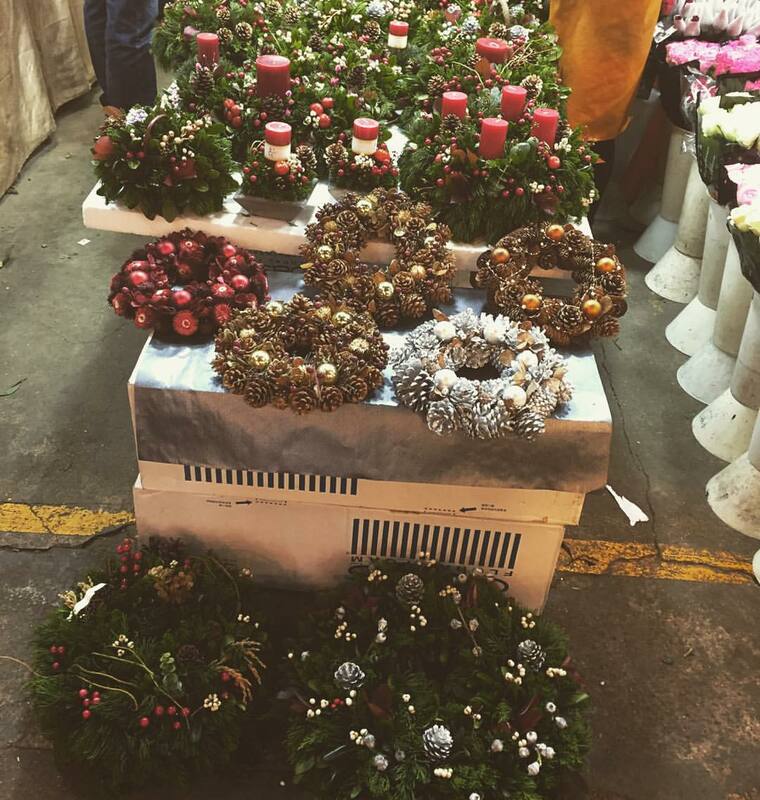 Now there are a variety of places to get a Christmas tree in Shanghai but we have always gone to the Hongqiao Flower Market located in the Minhang district on Shanghai. The easiest way to get there is to take Line 10 to Longbai Xincun stop and then walk to the market, which is about 10 min. Once there, it’s up to you to choose which shop you’ll select your tree. I mostly try to buy from nice looking little old ladies! English is limited at most shops but as always be ready to bargain! The bigger the tree the bigger the price! Most of the trees aren’t like your western pines but they get the job done! Besides the trees there are a variety of shops with decorations, reindeer, poinsettia and fake trees. It’s also need to see the shops during this time of year transform to wreath making machines! There are other flower markets in the city; however, we always rely on this one! Happy Holidays! What does your decorated tree look like? Wow!! Impressive. We appreciate your caring & sharing.